Always in fashion. An incarnation of a timeless classic, these earrings feature round cut crystals in the most popular of this seasons shades. 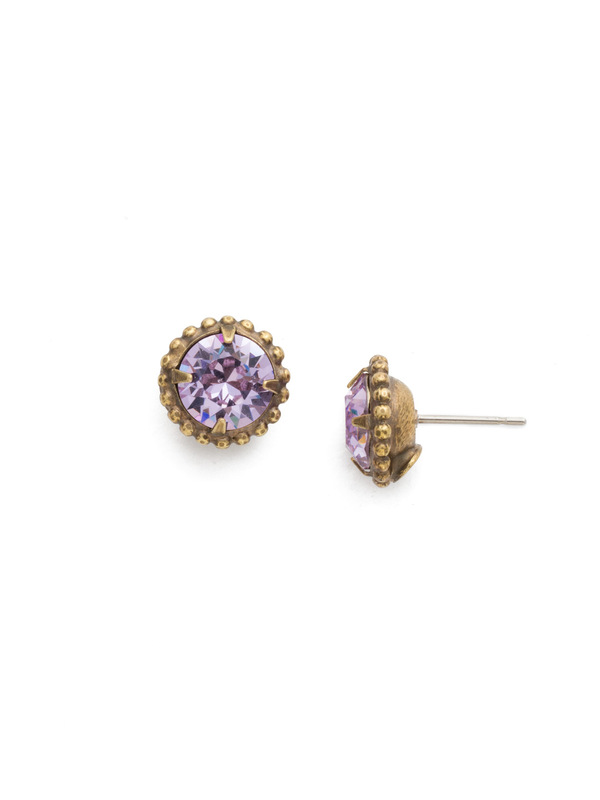 Stones are accented by a vintage inspired decorative ball edging for a little something extra.